Come let us light up Chicago !!! Learnt about a new plan that Mayor @Rahm Emanuel had put forward to make the city of Chicago as "The North American City of Lights". I love night sky, I love watching the stars & milky way. But I would also say I love lights and city skylines. It was a great experience shooting man made skylines like this @ Seattle. I love lights. Without them, the shadows would not be so beautiful. So I say come let us light up Chicago ! Lighting is not just about adding jarring halogens and LEDs to buildings. It also can be learning and designing a lighting systems at a really grand scale that is functional and beautiful, while keeping the light pollution low. Am sure we do have technology in place to achieve this. So if you are one of them who can make it happen – – do participate in this world wide competition and submit a proposal to light up Chicago – in a way we can all enjoy the milky way that is always there !!! 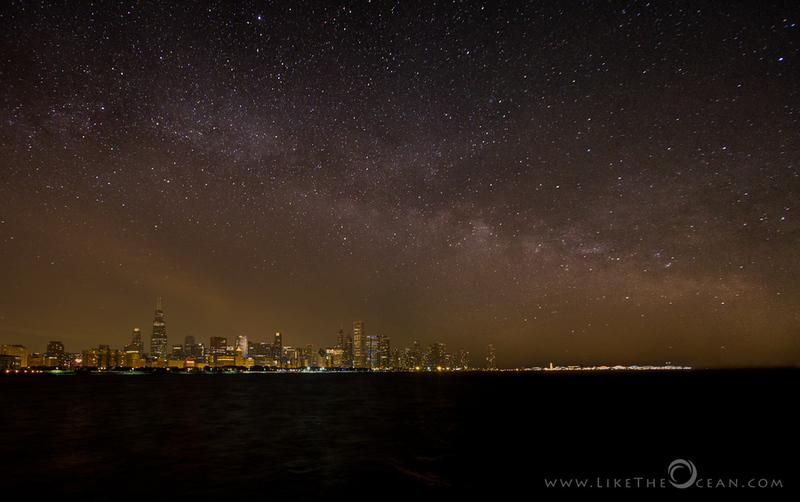 Come let us light up Chicago – in a way to reduce light pollution & bring out the milky way that had always been there !!! This shot is a composite of the Chicago skyline from the Alder Planetarium. 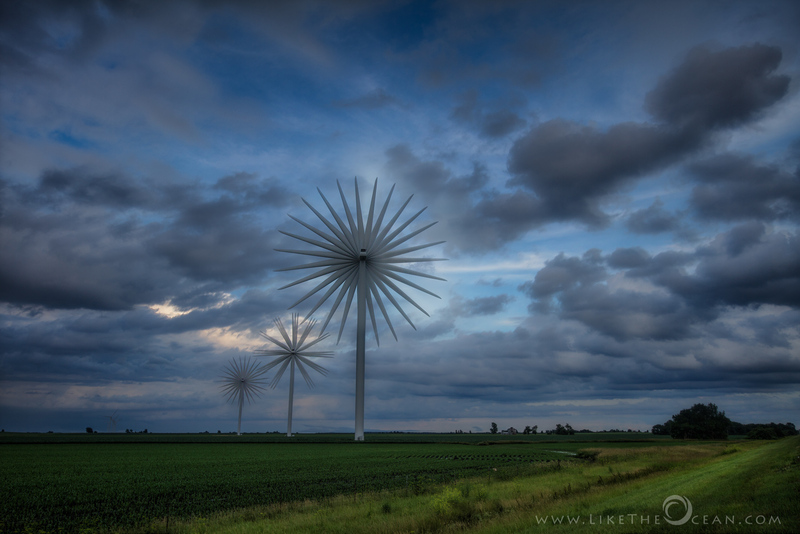 The milky ways is from Green River Wildlife area – a couple of hours away from Chicago. Hopefully we would be able to enjoy views like this without camera gimmicky or total blackouts.